A new organization is helping District residents in need find a new hobby and make money at the same time. That organization, District Mugs, started in August with help from nonprofit Streetsense. The idea, according to duo Shreya Bhargava and Lise Courtney d’Amico, is simple: Give people who are homeless or who have experienced homelessness the knowledge to build a sustainable small business. Once a week, participants meet at the Streetsense headquarters downtown to paint coffee mugs. Then, at a later date, the artists, Bhargava and d’Amico set up a booth at a local business and dole out mugs for donations. A drinking vessel can be yours for a suggested price of $10 or more. Last weekend, District Mugs set up a booth at Mellow Mushroom in Adams Morgan and distributed nearly 30 mugs. To date, the group has sold about 280 mugs and raised nearly $2,000. The process has been “incredibly rewarding” so far, d’Amico said. 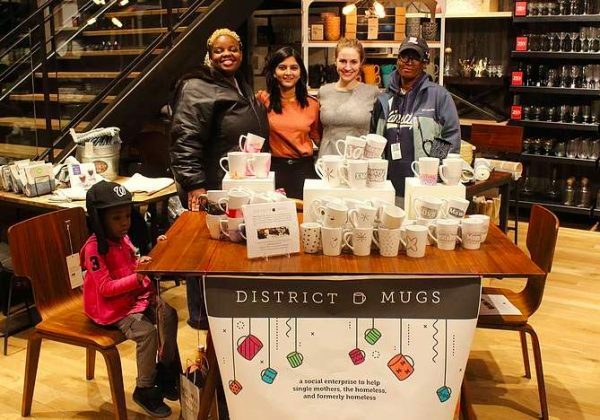 District Mugs also sets up shop at West Elm (1728 14th St. NW) or at the Pottery Barn in Clarendon. Locals who want to see where the organization will pop up next can follow the group on Facebook. A local nonprofit organization once again is trying to make it safer, and cheaper, to get home during the holidays after drinking a little too much eggnog in the D.C. area. The Washington Regional Alcohol Program is covering taxi fares up to $30 as part of its annual holiday SoberRide campaign, which starts Friday and ends Jan. 1. The free cabs will run from 10 p.m. to 6 a.m. every day during that period. To get a complimentary ride, call 800-200-8294. Three adults and one child were taken to the hospital for evaluation after someone reported a possible gas leak at a school near 14th Street earlier this morning. 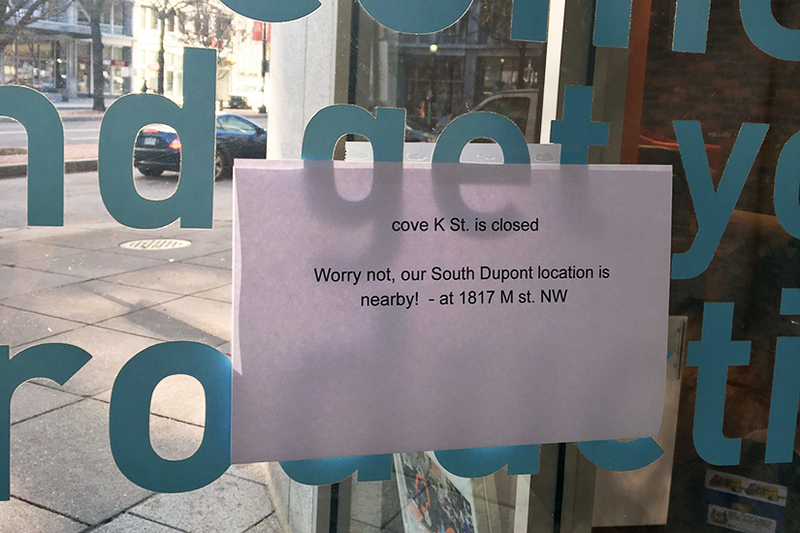 The D.C. Fire and EMS hazmat unit was called to the St. Augustine Catholic School (1421 V St. NW) to investigate the reported leak around 8 a.m. today. 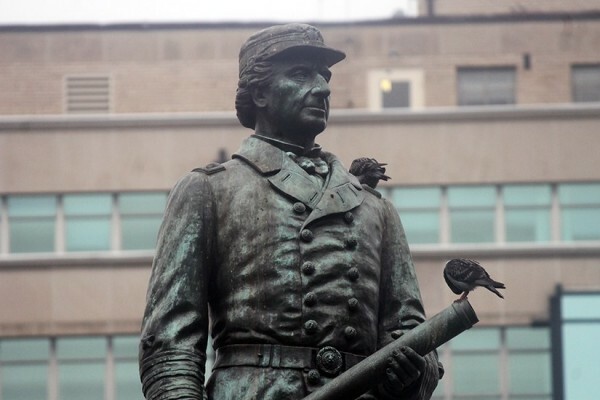 Firefighters initially said five people were possibly sickened during the incident, but only four were taken to the hospital as a precautionary measure. Hazmat crews searched the building but did not find evidence of a gas leak. @dcfireems 4th patient, adult, has requested to go to hospital. Gas in school cafeteria shut down as precaution. Incident under control. 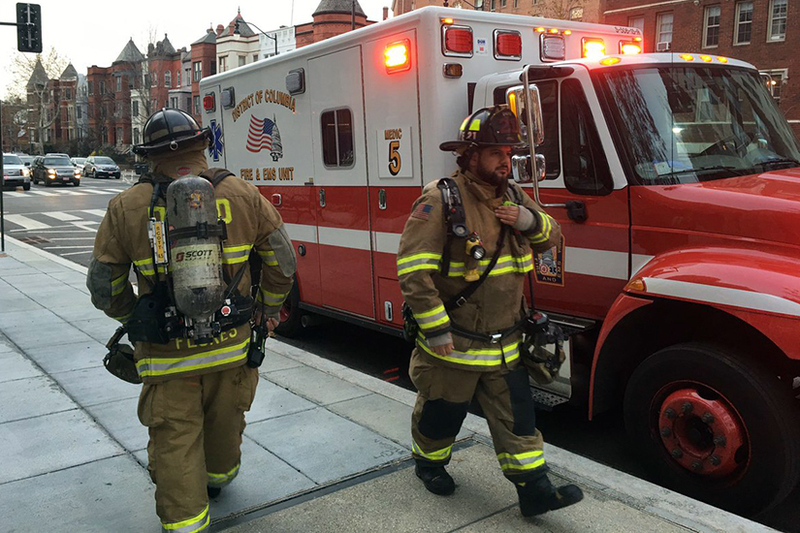 “All meter readings are negative,” said D.C. Fire spokesman Vito Maggiolo. 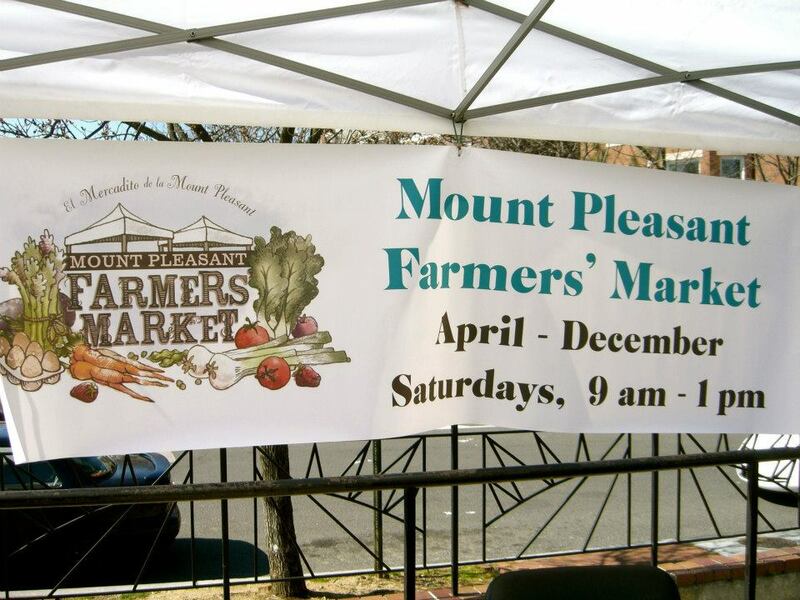 The Mount Pleasant Farmers’ Market is set to wrap up for the season this weekend. 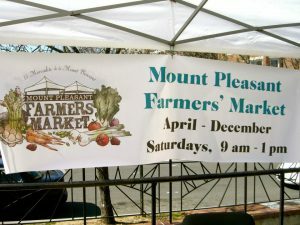 The market’s last day this year in the Mount Pleasant Street Plaza is Saturday, according to a post on its Facebook page. 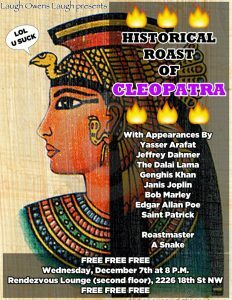 It is scheduled to run from 9 a.m. to 1 p.m. Vendors are slated to sell meat, eggs, squash, sweet potatoes and Christmas decorations, among other items. “Squash and root vegetables are the stars of the late market season,” the Facebook post says. The market also is set to have live music and a bike clinic. 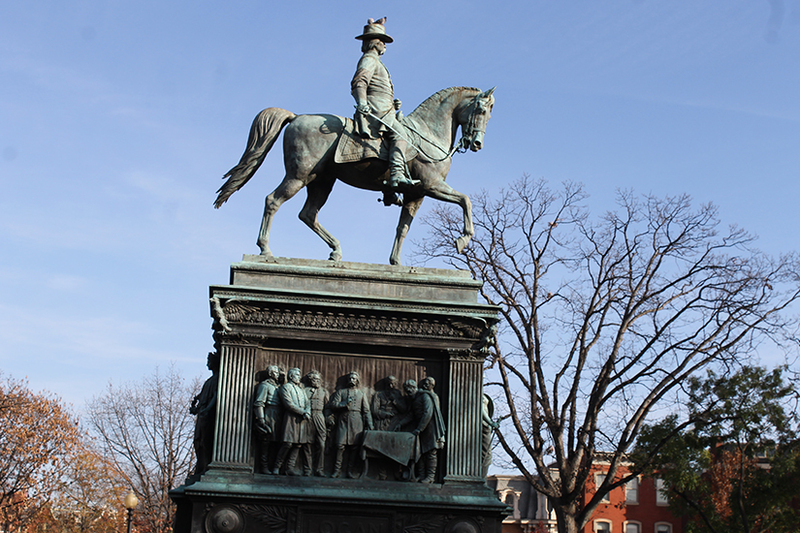 Farmers and other vendors are scheduled to return for the market in April. 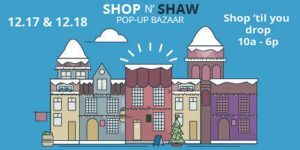 More than two dozen local businesses are scheduled to set up shop under the same roof in Shaw this weekend. 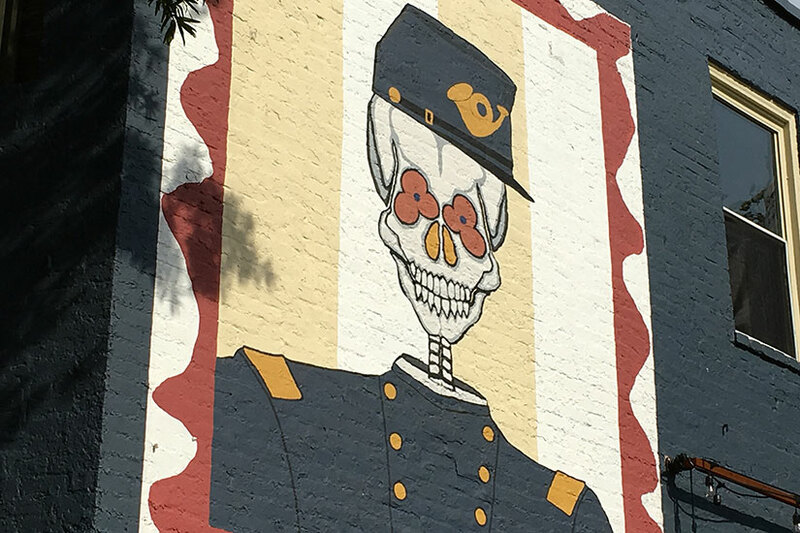 The neighborhood’s Wonder Bread Factory (641 S St. NW) is hosting a pop-up “bazaar” on Saturday and Sunday, Dec. 17 and 18. The event is scheduled to run from 10 a.m. to 6 p.m. both days. 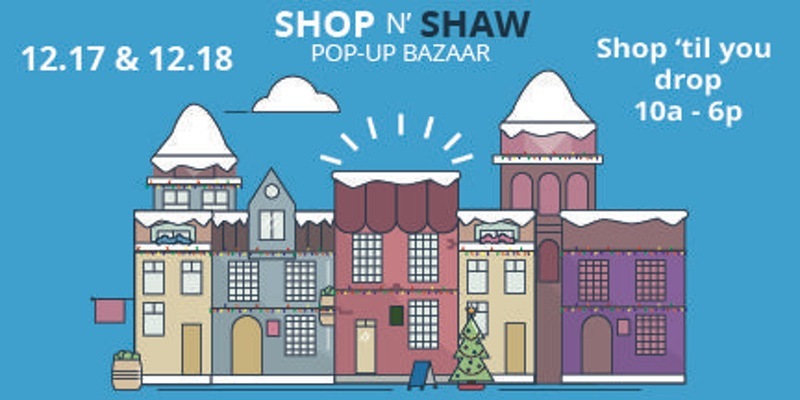 Businesses and brands set to sell wares during the shopping event include Mimi Miller, Oh-Mazing, Magpie Cookshop and Modami Apparel. 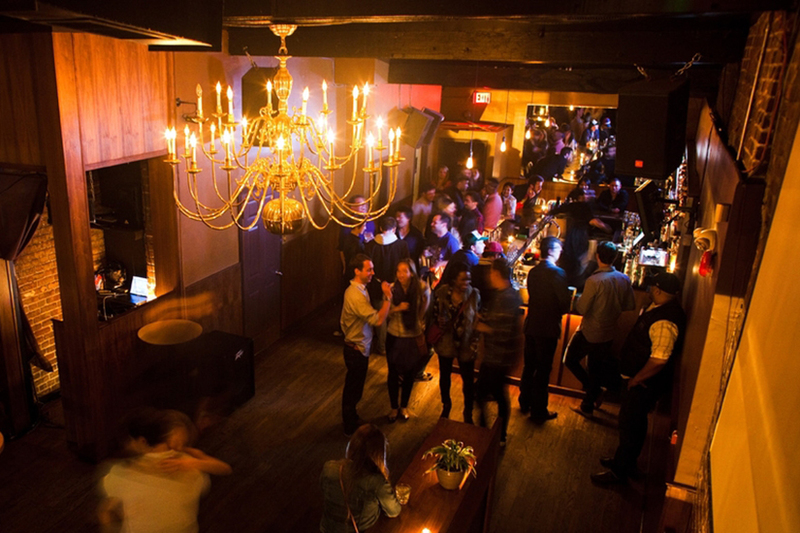 Poppir, a company centered on “listing, searching, and booking short-term rental space online,” is hosting the bazaar. CityCenterDC Helps D.C., Even Without Crowds — The Washington Post Magazine examines how CityCenterDC helped the District show the world it can create a high-end downtown that caters to the rich, despite a lack of crowds there. 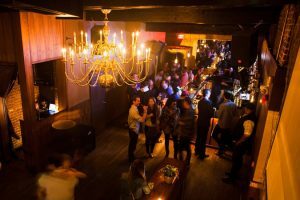 A bar in Adams Morgan hopes to raise some money for the activists demonstrating against the Dakota Access Pipeline at the Standing Rock Reservation in North Dakota. 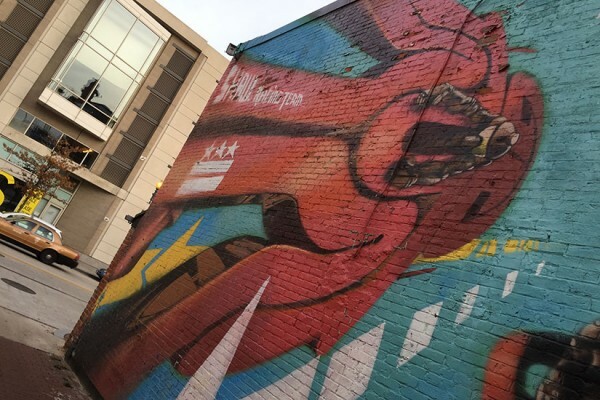 Bourbon (2321 18th St. NW) is scheduled to host a benefit event this Sunday, Dec. 11, from 7 p.m. to 2 a.m., according to a Facebook event post. The event will include DJs, drink specials and a raffle with prizes that include “gift cards from local businesses and art from local artists,” the bar said. 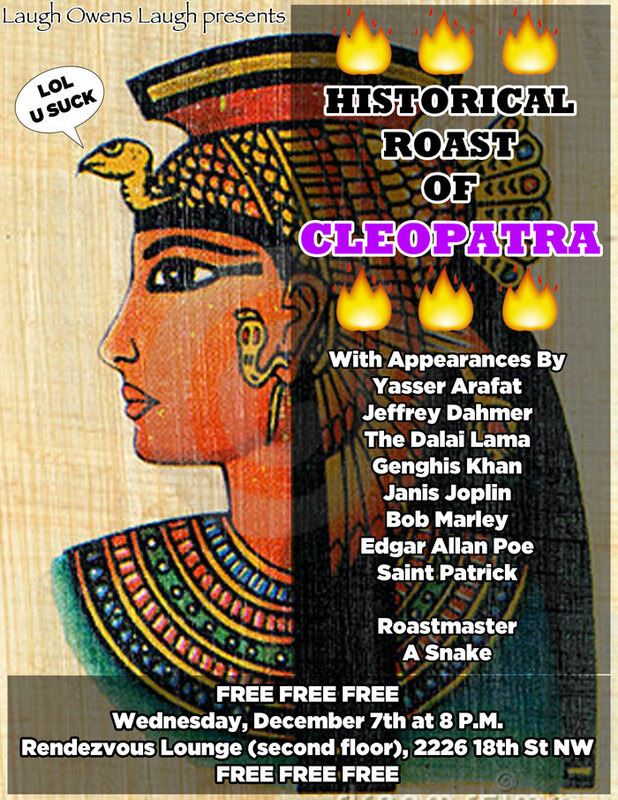 Patrons can pay a suggested $10 donation at the door to benefit the Standing Rock activists. “DON’T STAND DOWN as Energy Transfer Partners could try to appeal their decision to reroute, and of course President-Elect Donald Trump’s team continues to fully support the pipeline,” the bar wrote on its Facebook event page. Those who can’t attend but still wish to help out are encouraged to donate a new Gofundme page Bourbon recently launched. 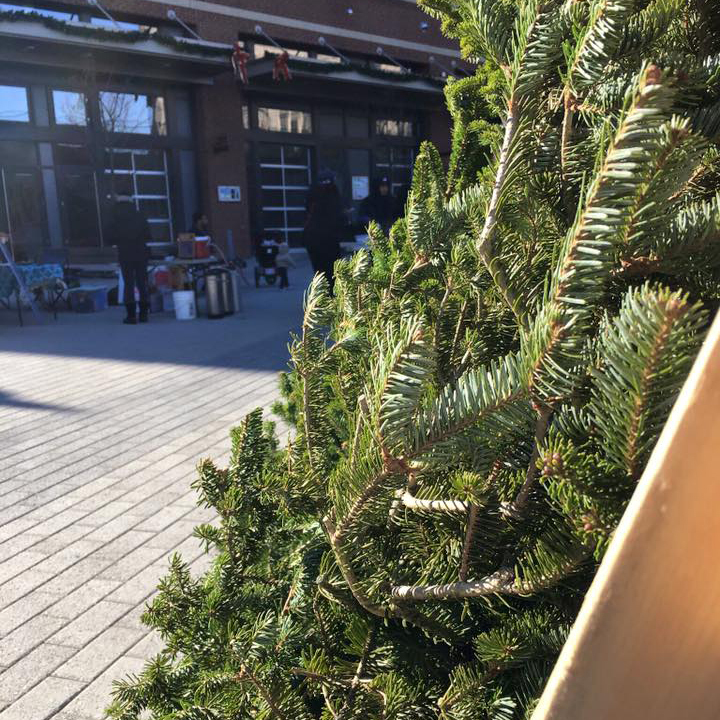 A farmers market in Columbia Heights is slated to close for the season this weekend, but not before holding one last holiday sale. 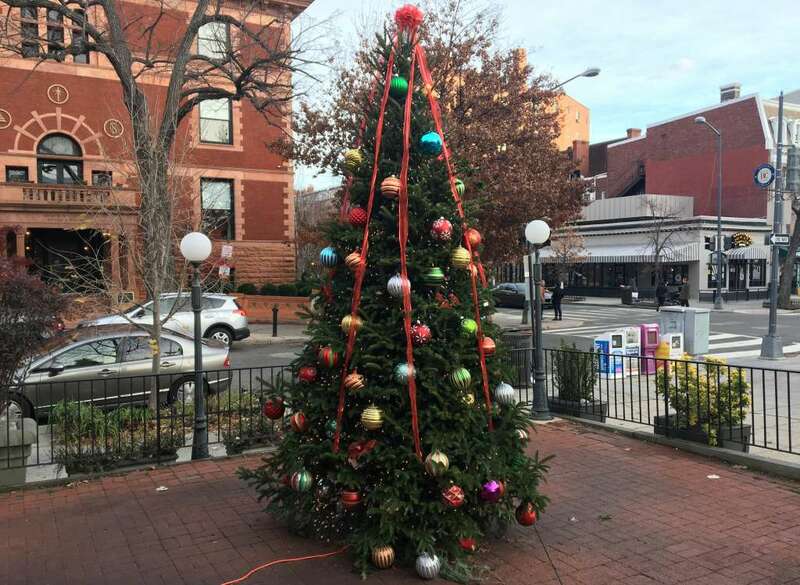 The Columbia Heights Farmers Market, located at the intersection of Kenyon and 14th streets NW, is selling Christmas trees and other yuletide goodies this Saturday from 9 a.m. to 1 p.m. The market’s vendors will sell trees, olive oil, holiday plants from Plantmasters, cookies from Bjorn’s Bakes and other assorted gifts and local products, according to a representative of Community Foodworks. The neighborhood’s outdoor market is scheduled to return the second week of April. 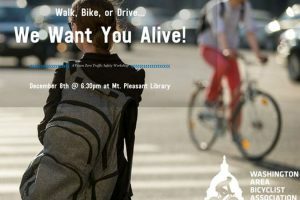 The Washington Area Bicyclist Association wants to help you stay alive while walking, biking or driving on District streets. WABA is scheduled to host a traffic safety workshop titled “Walk, Bike or Drive… We Want You Alive” at the Mount Pleasant Library (3160 16th St. NW) on Thursday, Dec. 8, at 6:30 p.m. The workshop will focus on Vision Zero, D.C.’s ambitious initiative aimed at ending all traffic fatalities by the year 2024.